The wedding ring presented to your partner on the day of your wedding is a symbol of the love you feel for them - choosing something ordinary simply will not do. 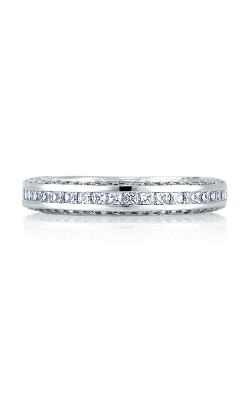 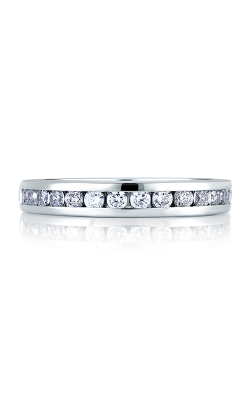 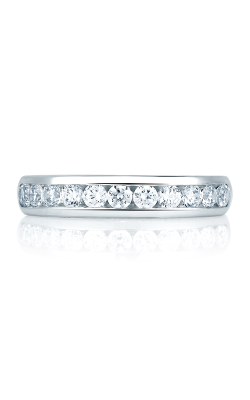 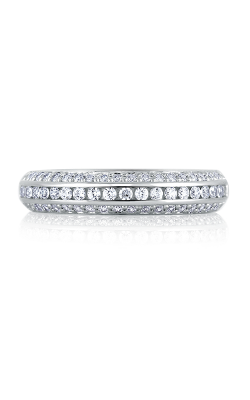 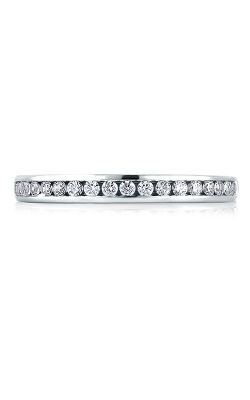 What makes a channel wedding band unique from the standard fare is an array of diamonds surrounding the finger, set between two bands of the precious metal of your choosing, both of these elements coming together in harmony to leave the impression of a lifetime. 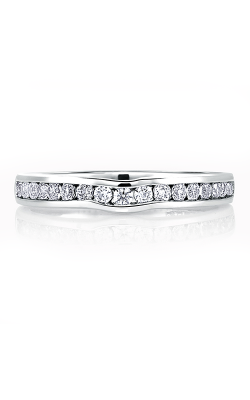 A. Jaffe is one of the most prolific producers of wedding rings in the channel style, offering forty varieties to choose from in their collection alone; those in his Classics collection are all stunning. 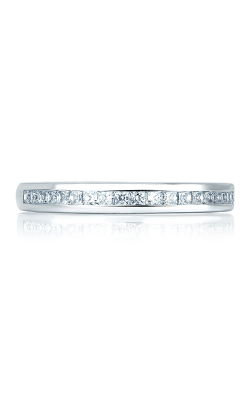 Noam Carver's series of wedding rings offer a slightly different take on a similar style in 18k gold, both white and yellow, all of them a grand statement that will complement your bride and the occasion gorgeously. 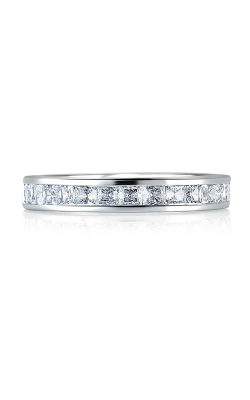 Between Michael M and his striking Europa collection and the sleek rings found within Sylvie's bridal offerings, variety is never in short supply within our walls. 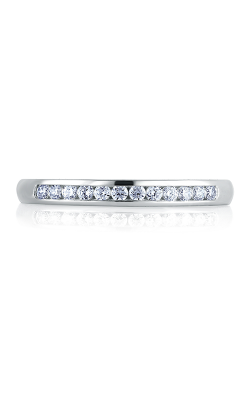 CrownRing, and Imagine Bridal's wedding series round out our roster, each individual piece demonstrating their own personal flair, all backed by our exclusive lifetime warranty. 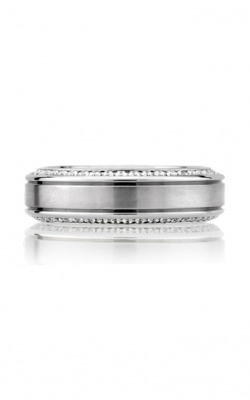 And, for the gentlemen, Simon G offers a line of channel bands for the groom exclusively. 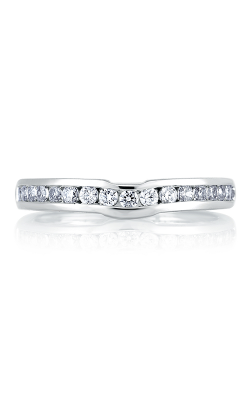 Why Shop at Kevin’s Fine Jewelry? 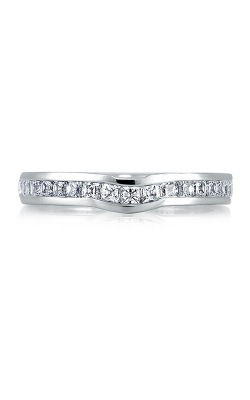 Kevin's Fine Jewelry is family-owned and an authorized dealer of all of your favorite brands and designers, boasting one of the most comprehensive selections of fine jewelry in Totowa. With over thirty years of experience in the industry and our diamond replacement policy backing every purchase made with us, you can trust that the quality of your partner's forever ring is in the right hands. 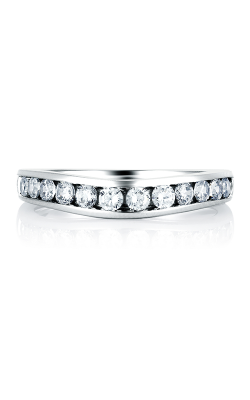 Please fill out the form below and a Kevins Fine Jewelry specialist will contact you regarding the as soon as possible.